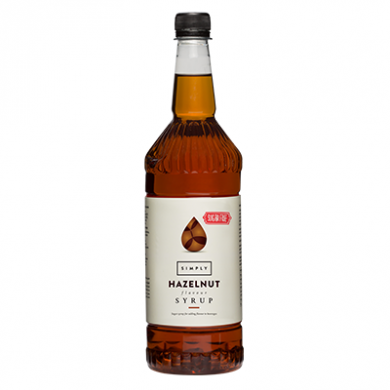 Sumptuous and nutty sugar free hazelnut syrup, a favourite full of taste addition to your coffee, mocha, iced coffee, milkshake or dessert. 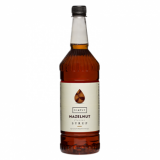 Sumptuous and nutty hazelnut syrup. A favourite full of taste addition to your coffee, mocha, iced coffee, milkshake or dessert. Free from artificial colours and flavourings. Water, Glycerine, Natural hazelnut flavouring, Sucralose, Salt, Preservative E202, Colour E150a, Citric acid. Store in dry, cool ambient conditions, away from heat sources and odorous materials. After opening, keep container closed. Keep cap area clean and free from syrup residues. Do not refrigerate – crystals may form in the liquid at low temperature. Shelf life after opening: 12 months.